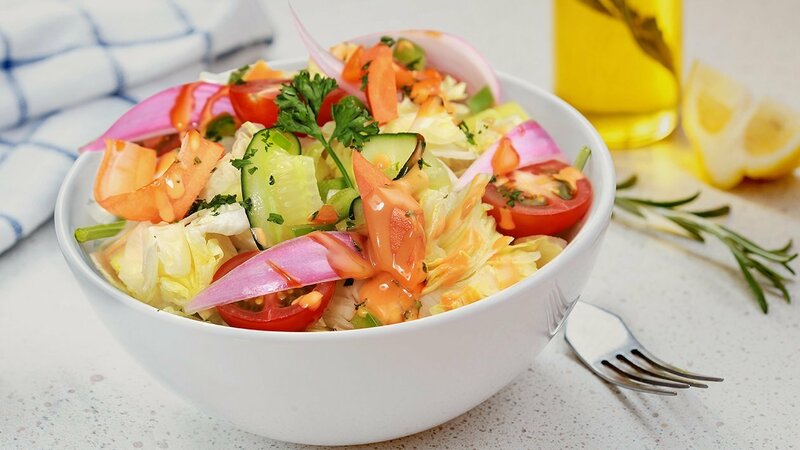 If you are looking for a great salad for your menu in summer, you can’t get much better than a super chilled salad with nutty flavor, a healthy salad. Check out this recipe to find out how to make this salad extra special for your guests. Cut iceberg into wedges and dip it into ice icy water. Marinade tomato with garlic, thyme and balsamic vinegar. Garnish each iceberg with pickled onion, tomato and vegetable and finish with Best Foods French Dressing and chopped parsley. Dip Iceberg in an Ice water to make it super chilled.